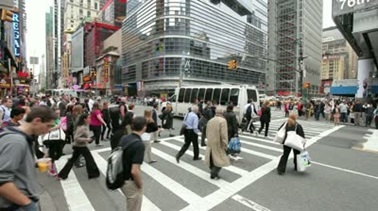 Nonverbal Behavioral Style Clues: Walking Styles – Competitive Edge, Inc.
Understanding other people’s behavioral style is important if we want to win friends, influence more people, and communicate effectively. Since you won’t have access to a behavioral profile on most people with whom you interact, learning to read nonverbal clues is vital. Although our range of observation is wide, if we do not know what we are looking for it is easy to miss the subtle clues we are being given. Even if you do notice certain nuances, do you know which actions or reactions are typical of the different behavioral styles? Over the next three weeks we will explore easily observable behaviors that can give you a clue to someone’s DISC style, even if they never say a word. I think that you are “spot on” with this. I believe that you can learn a lot about a person by the way he walks, talks, enters a room, whether he is aware of others or totally self-absorbed. It is important information because you are right that we don’t have LaHaye, DISC, Myers-Briggs, True Colors, or Animal Inventories on people’s foreheads as they walk into a room. However, in a way we do, if we are able to learn the principles of nonverbal communication and what they mean. Looking forward to your next post! Thank you for your comments Sabrina, very true! Yes, when people feel valued, they show up for work. I have found that it is not only important that I understand myself and what motivates me, but I must also understand those with whom I work with and manage. Leadership is about bringing out the best in people, even if developing others assist them forward in their career and leave you looking for another employee. Showing up on the job is one thing, but showing up to work is another. Most individuals desire to add value to their place of employment. That is why it is important as a manager to not only be concerned with the daily task of running a business, but be equally concerned about letting your co-workers/employees know how important they are to the success of any and every endeavor your organization under take. Having people showing up to work is less costly than having people just showing up. Understanding coworker’s / employees’ motivators is very important to your bottom line. Judy, I look forward to working with you in the near future! I am so glad our paths crossed! !